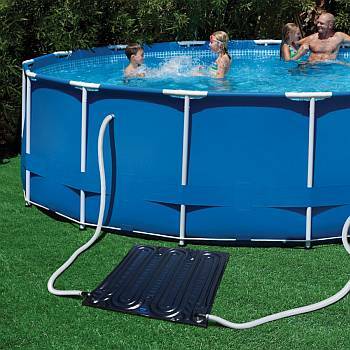 Designed for use with today�s popular small pools, the SolarPRO EZ Mat is the most inexpensive solution for actively heating your pool�s water. The panel absorbs the sun�s natural energy and transfers heat to the water as it travels through its channels. 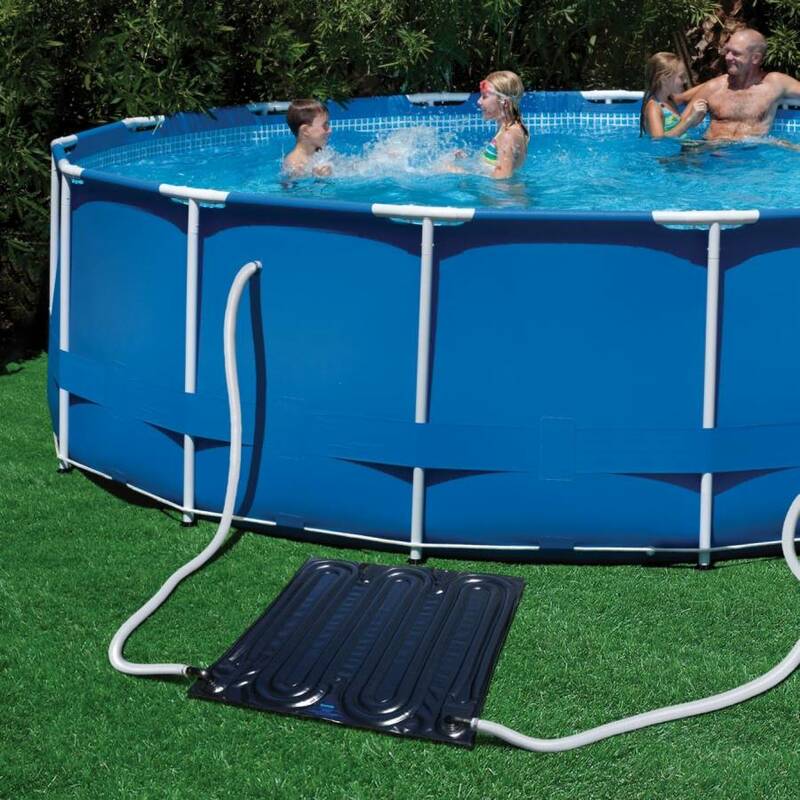 Perfect for pools with � horsepower or smaller filter systems. An inexpensive, environmentally-friendly heating solution. Use of a solar blanket will speed up the heating process by not letting the heat escape into the cool night air.